Writing powerful blog titles are important to get traffic to your website. It’s not what you say but how you say it. If your post is discovered in search results, the title of your blog post is what will set yours apart from the other search results and inspire someone to click on it. With content marketing, you need to make connection with your target audience. Your first connection point is sometimes your blog titles. How do people feel when they see your headline over someone elses? By using keywords, emotions and power words, you can create titles that get results on your blog posts. If you use a topic for the titles of your blog posts, that won’t grab anyone’s attention. For example, a topic is Losing Weight. If yes, this is a huge mistake. 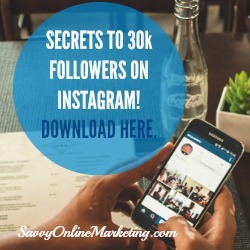 These type of blog titles do nothing for your SEO (search engine optimization). If your blog post did show up in search results, would it compel someone to click on it? These type of blogging headlines do not convey any value to a reader or tell the reader what the post if about. compels a person to click on it. Without a compelling headline, people won’t be inspired to read your post. 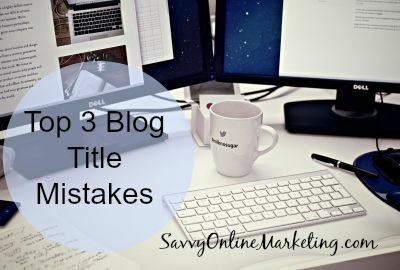 Take the time to write titles for your blog posts that have maximum impact. There are many ways to improve your headlines to reach a larger audience online. I recommend you check out the headline analyzer by CoSchedule. You can analyze your headlines for free and get educated on how to write better titles. Have you been paying attention to your blog titles? Share your best headline tips in the comments so the community can benefit too!